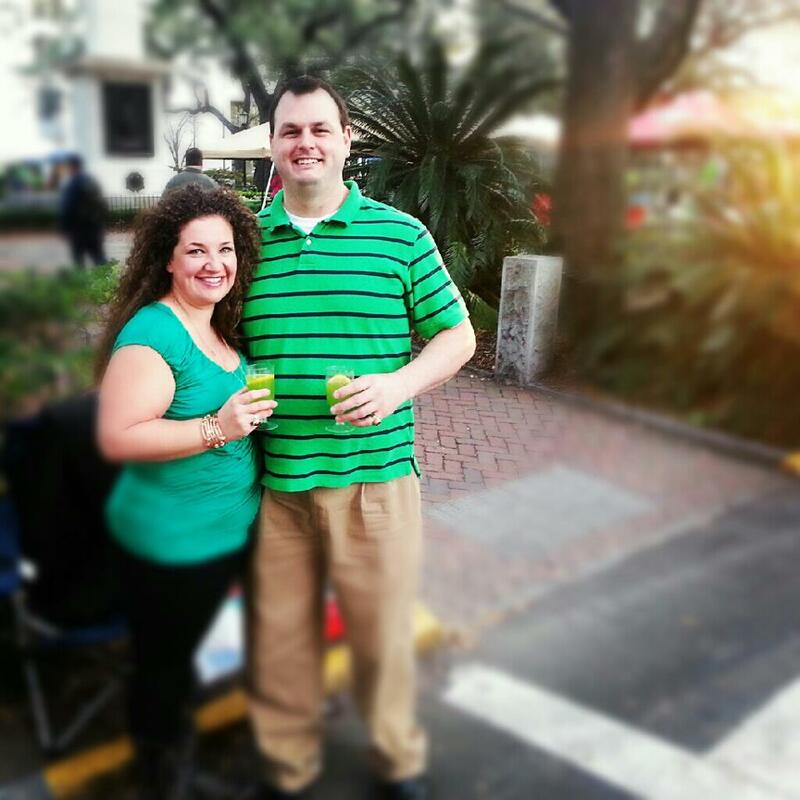 My boyfriend Kurt (right) and I at the Savannah St. Patrick’s Day Parade 2013. March is finally here and that’s something to get excited about for SO many reasons–1) I’ve got a new episode of “Statesboro Cooks” premiering this Friday, 2) Daylight Savings Time and 3) St. Patrick’s Day! Here in Statesboro, I’m just a few miles down the road from Savannah, Georgia where one of the largest parties celebrating Irish history and culture, second only to New York City, takes place in the United States every year. 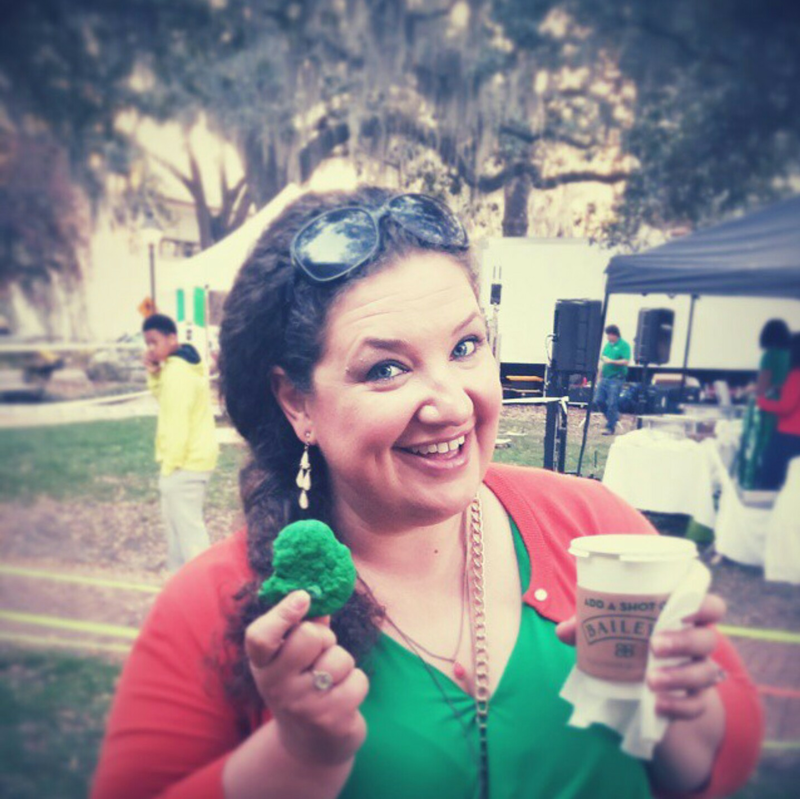 Last year was my first experience at the Savannah St. Patrick’s Day Parade, and what a blast it was! My Savannah-born-and-raised boyfriend and I donned our green, packed a festive picnic including Paula Deen’s Green Grits Pie and Trisha Yearwood’s Green Punch (spiked of course) and spent the day on Johnson Square playing beer pong with complete strangers at 10 a.m., watching the horse and buggies pass us by and enjoying the sound of bagpipes. It was an unforgettable event I believe everyone should experience at least once. Trisha Yearwood’s Green Punch with a few Some Kinda Good enhancements, like Vodka and a green sugar rim. 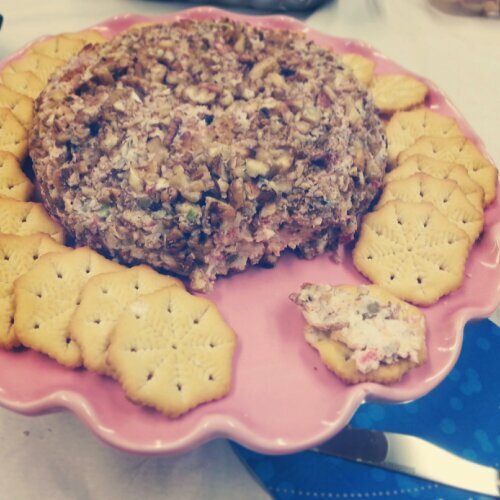 On my upcoming episode of “Statesboro Cooks,” a local 30-minute televised cooking program produced by students in the Department of Communication Arts at Georgia Southern University, I share an Irish menu featuring Shepherd’s Pie and a Mixed Green Salad with seasonal strawberries and candied Georgia pecans. To round out the meal, I get a little help from some local businesses: Simply Sweet Cakery provides dessert (you won’t believe these cupcakes!) and Sugar Magnolia Bakery and Cafe sends me home with a loaf of fresh-baked Irish Soda Bread. 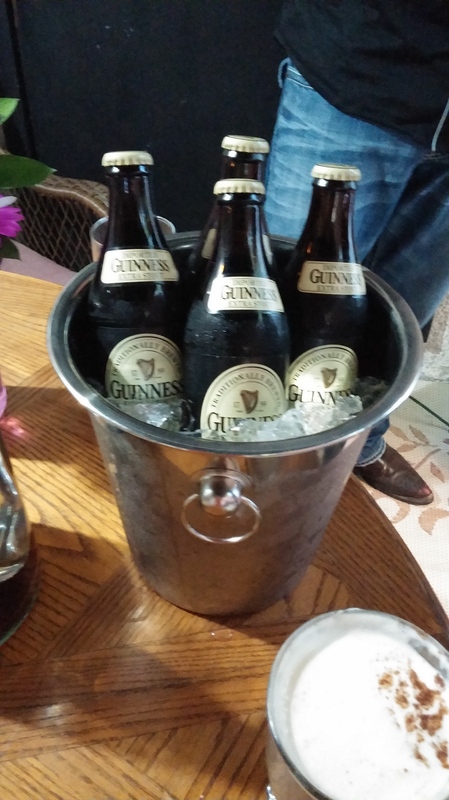 With a couple of extra stout Guinness beers and an Irish Coffee or 12, we celebrate St. Patrick’s Day in true Savannah style. Also on the show, I couldn’t be more excited to introduce one of my dear and talented friends from Vidalia Georgia’s Tiger Creek Band, lead vocalist and guitarist Justin Dukes. Justin entertains us with one of his new singles, “Rolling with the Flow,” and the two of us join voices singing Luke Bryan’s, “Tailgate Blues.” This is my favorite episode to date and I’m on the edge of my seat just thinking about it. Good food and good company, that’s what it’s all about! Justin Dukes (right) and I met in the line at American Idol auditions during the summer of 2011 in Charleston, S.C. 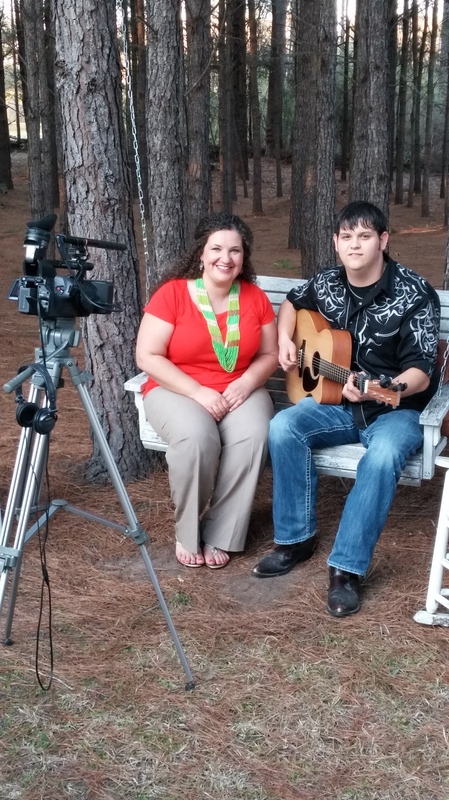 Tune in to “Statesboro Cooks”on local cable channel 99 at 7:30 p.m. seven days a week beginning Friday, March 7. The show will also air again at 1 p.m and 1 a.m. daily. Be sure to check back right here on “Some Kinda Good” to get my St. Patrick’s Day menu, including all the recipes featured. If you’re not local, no worries! The program will be available on my blog. Now, here’s an exclusive, behind-the-scenes look on set during the filming of “Statesboro Cooks.” Will you be watching? Thanks for tuning in! A Season 2 Contestant on ABC’s “The Taste,” I’m the Statesboro Herald food columnist as well as host and executive co-producer of “Statesboro Cooks.” Some Kinda Good is a Southern, coastal food blog highlighting East coast restaurant reviews and Lowcountry-inspired recipes. 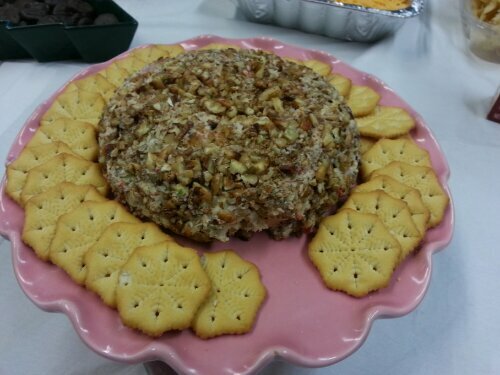 I hope you’ll stick around, and follow me on Twitter at @SKGFoodBlog or find me on Facebook. Thanks for visiting!